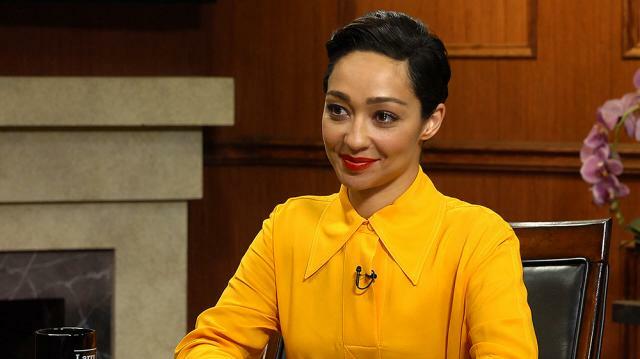 Breakout star Ruth Negga joins Larry to discuss the Oscars buzz for her role in ‘Loving,’ how she’s taking to her newfound celebrity, and how she and her longtime boyfriend Dominic Cooper ended up on ‘Preacher’ together. Larry King is joined by “Loving” star Ruth Negga, who discusses her role as Mildred Loving and the landmark Supreme Court case that legalized interracial marriage across the United States. The Irish born actress speaks to her upbringing in a biracial household, and how that shaped her lens when she took on the film. Later, Larry King and Ruth Negga speak to the rise of xenophobia both in the United States and in Europe, and how politics shows of a shifting view in politics. Negga also compares the different ways Americans and Europeans treat celebrities. Then, Larry and the film actress turn their attention to her role on the AMC series “Preacher,” which also stars her boyfriend Dominic Cooper. Ruth Negga addresses how she and Cooper landed the roles together, and gives a small hint as to what’s coming in season 2.